and a special shout-out to the audience! Nov. 10, 2015: Accompanying 'My Friend From India' (1927) with Franklin Pangborn and Elinor Fair on screen, at the Manchester City Library. It might be a quiet week in Lake Wobegon. 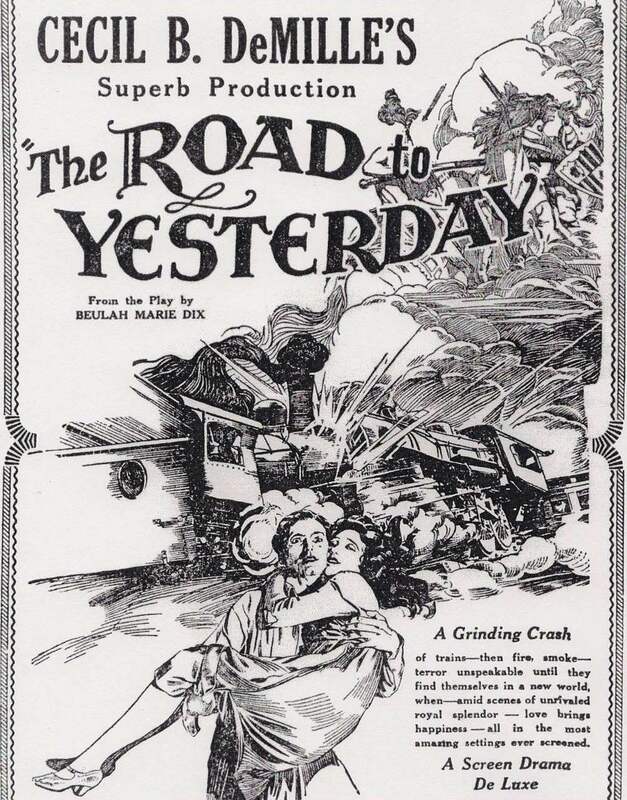 But it's been a pretty intense year in silent film accompaniment, at least for me. Yes: 2015 brought the chance to create live music for more than 100 feature films at venues close to home and far afield. I remain grateful for the local support for silent film with live music. It's a loyal band of silent film fans we have here north of Boston, one of whom snapped this amazing low-light photograph during a performance without me realizing it. It's the best image ever taken of what I do, I think. To get the full effect, click on the picture to see it full size. To all the people who turn out for these screenings, thank you so much. The audience is absolutely essential to recreating the silent film experience, and I appreciate the crucial part you play in the collaboration. Thanks also to those who played a role in bringing me to venues this year that included the Niles Essanay Silent Film Museum in Fremont, Calif.; the Packard Theatre at the Library of Congress, the Cleveland Cinematheque, the Carnegie Center in Cincinnati, the Revue Cinema in Toronto, and so many other places. I was especially honored to be invited to the last-ever Cinefest in Syracuse, N.Y., a festival that over the past five years has allowed me to meet so many people who work in the vintage cinema and film restoration. And the Kansas Silent Film Festival, held each February at Washburn University in Topeka, Kansas, is always a highlight. Looking forward to the upcoming 20th annual edition of this great get-together! In addition to the Kansas festival, the 2016 calendar already has some noteworthy silent film gigs. Mid-January finds me doing music for 'Wings' (1927) at the massive Arisia Sci-Fi and Fantasy Convention in Boston, Mass. It's the last year for their traditional film program, so we're going out with all plane-mounted machine guns firing. And in mid-February, I'll do live music at the annual Boston Sci-Fi Marathon (24 hours!) for a very unusual film, "Himmelskibit' (1918), an early flick from Denmark about mankind's first-ever voyage to Mars. 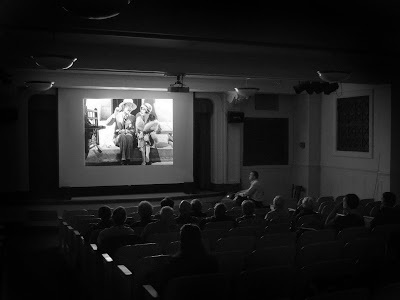 I'll be continuing monthly screenings in all the old familiar places, including the Wilton (N.H.) Town Hall Theatre, the Flying Monkey Moviehouse in Plymouth, N.H., and the "Silents, Please!" series (using only 35mm prints) at the wonderful Somerville Theatre just outside Boston, Mass. And the summer will bring additional monthly programs at Brandon (Vt.) Town Hall and the historic Leavitt Theatre (since 1923!) in Ogunquit, Maine. As we enter 2016, I'm fortunate enough to be traveling overseas, so no screenings until I return in mid-January. But when I get back, the silent film music machine will restart with a vengeance, beginning with a screening of 'The Birth of a Nation' (1915) at 6:30 p.m. on Thursday, Jan. 14 at the Flying Monkey in Plymouth. We're doing it in honor of MLK Jr. Day, and already I've been hearing from people who aren't too happy about that programming choice. Looking forward to screening the film, which I think has a lot to teach us about race and discrimination and progress in this country. Maybe now more than ever. But that's a topic for a whole other post in the new year. For now, thank you to all who've supported silent film with live music during the past year. As I do this, I continue to be amazed—not just at the films themselves, but also by the fans today who pursue their passion for the field. 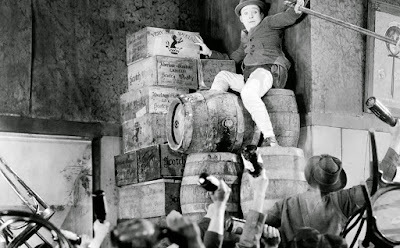 Harry Langdon find himself, er, over a barrel in 'The Strong Man' (1926). The final screening of the year for me is Sunday, Dec. 27: Harry Langdon's 'The Strong Man' (1926), his best feature film and one of the great comedies of any film era, silent or not. Showtime at the Wilton (N.H.) Town Hall Theater is 4:30 p.m. Admission is free and open to the public, although a donation of $5 per person is suggested to help defray expenses. I have high hopes for this screening, which is part of the regular monthly series at the Wilton Town Hall Theatre. For one thing, we got a full page of exposure for this show in our local daily newspaper, the Telegraph of Nashua, N.H.
Another reason is that it's directed by Frank Capra, and benefits immensely from the "Capra" touch even though it's his very first film. Another reason is that I've found 'The Strong Man' really resonates with audiences today, even if they're unfamiliar with silent film or the peculiarities of Langdon's screen character. I know that's an oversimplification, but people to these screenings come to see a silent film, not to hear someone like me talk endlessly about it. So I try to keep intros as brief a possible. Other than that, a quick refresher on how Prohibition worked is a good idea. But other than that, it's best to let the film do the talking, so to speak. It's been a busy year for accompanying silent films—one that's taken me all over New England as well as places further afield such as San Francisco, Topeka, Syracuse, Cincinnati, Cleveland, Washington, D.C. and even my international debut in Toronto, Canada! Not sure exactly where 2016 will take me. But I do know the silent film experience depends upon an audience. So I want to thank everyone who collaborated with me this year in bringing to life dozens upon dozens of pop culture artifacts. Everyone who attended a screening played some kind of role in this process, which couldn't be done without you. For now, if you'd like more information about 'The Strong Man' (1926), I'm pasting in the text of the press release below. Merry Holidays, Happy Christmas, and Best Wishes for a Great New Year! A promotional poster for 'The Strong Man' (1926). WILTON, N.H. — Silent film with live music returns to the big screen at the Town Hall Theatre this month with a showing of an uproarious comedy starring Harry Langdon. The screening of 'The Strong Man' on Sunday, Dec. 27 at 4:30 p.m., gives families a chance to round out the holiday weekend with a fun activity suitable for all ages. Directing 'The Strong Man' was young first-timer Frank Capra (at right), who would later go on to create such Hollywood classics as 'Mr. Smith Goes to Washington' (1939) and 'It's a Wonderful Life' (1946). 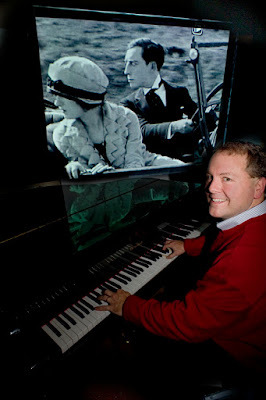 Live music will be provided by silent film accompanist Jeff Rapsis. Admission is free, with a suggested donation of $5 per person to help cover expenses. "For the long Christmas weekend, we thought it would be fun to revive the first film made by the man responsible for 'It's A Wonderful Life,' one of the all-time holiday classics," Rapsis said. 'The Strong Man' tells the story of a World War I soldier (Langdon) who, following his discharge, finds work as assistant to a circus strong man. As the act travels the country, Langdon continually searches for a girl he corresponded with while stationed overseas in the military. The search leads to a town controlled by Prohibition-era gangsters, which forces Harry to test the limits of his own inner strength even as he looks for his dream girl. Can Harry triumph over the bad guys? And is love more powerful than brute strength? 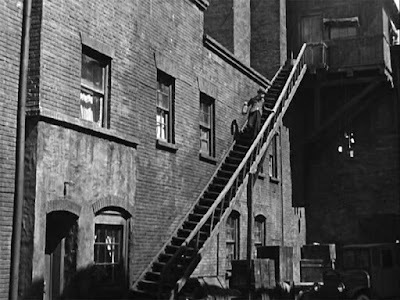 'The Strong Man' was was selected in 2007 for preservation in the U.S. National Film Registry by the Library of Congress as being "culturally, historically, or aesthetically significant." 'The Strong Man' will be accompanied by live music by Jeff Rapsis, a New Hampshire-based silent film accompanist who performs at venues across the region and beyond. "So the Town Hall Theatre's monthly silent film screenings are a great chance for people to experience films that first caused people to first fall in love with the movies," he said. 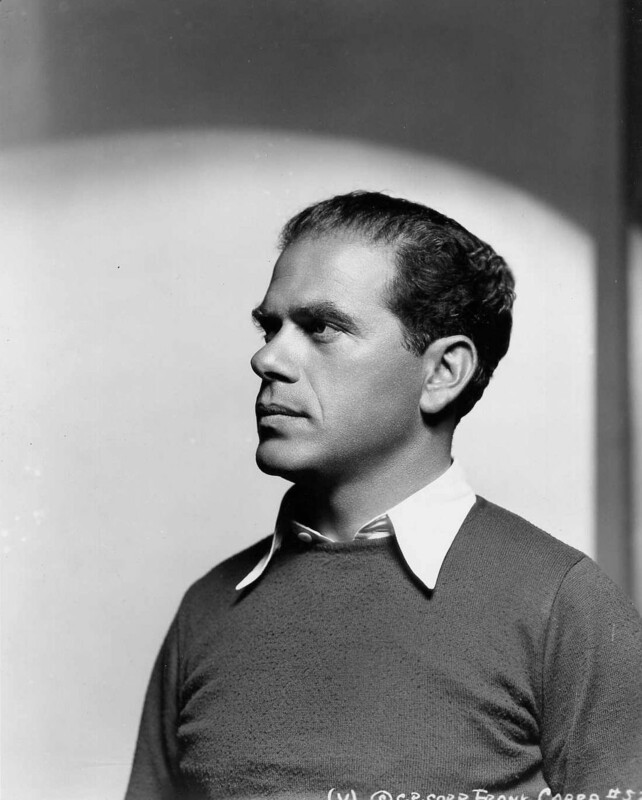 Frank Capra's 'The Strong Man' will be screened with live music on Sunday, Dec. 27 at 4:30 p.m. at the Wilton Town Hall Theatre, 40 Main St., Wilton, N.H. Admission is free, with a suggested donation of $5 per person to help defray expenses. For more info, call (603) 654-3456 or visit www.wiltontownhalltheatre.com. For more info on the music, visit www.jeffrapsis.com. The glamorous Alicia Fletcher and yours truly at the Revue Cinema in Toronto. 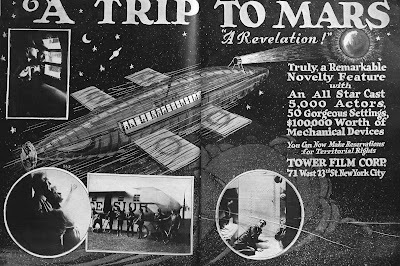 Okay, I'm back from my "Pre-Holiday Midwest & Canada Silent Film Tour." And here's all the dirt I know you've been waiting for. First, I want to thank the people who made this excellent adventure possible. • Maggie Perrino and Bleu Pellman of the Carnegie Center in Covington, Ky.
• John Ewing and Tim Harry of the Cleveland Cinemateque. • Alicia Fletcher, Craig Caron and Eric Veillette of the Revue Cinema in Toronto. I came away impressed by all that they do, and inspired by their support of silent film with live music. The good news is that each venue put on a first-class show for its patrons, from promotion to presentation. And the bad news...well, there isn't any bad news. All screenings went off without a hitch. Even the weather, which in this part of the world is a real roll of the dice in mid-December, was mild and pleasant throughout. And no car trouble in 2,149 miles of driving. Heck, I even found gas for $1.67 a gallon in Ohio! • Wednesday, Dec. 9: Sometimes my double life as newspaper publisher and silent film accompanist merges into one. Like with this tour: it starts at noon with me bombing down I-93 for a couple of client visits in the Boston area prior to heading west. I promptly get stuck on the Southeast Expressway. Not a fast start. Then it's out on the Mass. Pike (argh, now during rush hour!) to I-84, through Connecticut and New York and into Pennsylvania by evening. Dramatic arrival into downtown Pittsburgh at midnight via I-376 and the Squirrel Hill Tunnel. Finally pull into hotel (outside Pittsburgh Airport) sometime before 1 a.m.
Look at those elevation lines. What was I thinking? 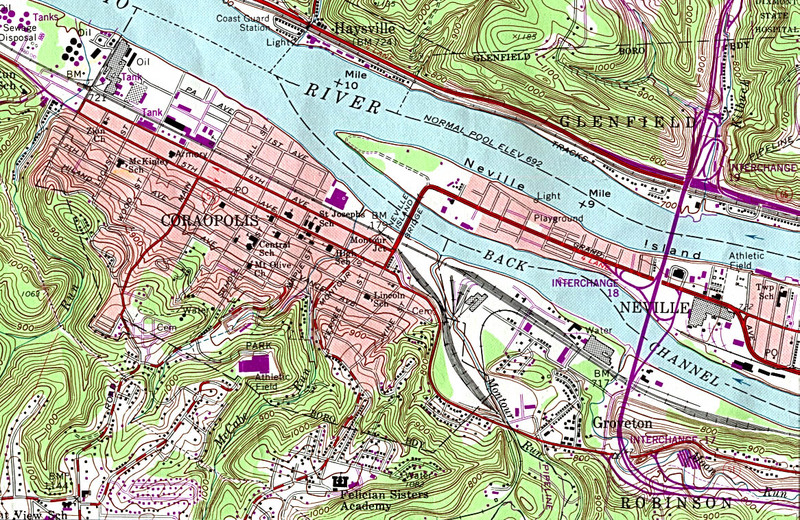 • Thursday, Dec. 10: An early morning run of 7 miles through the streets for Coraopolis, Penn. allows me to claim Pennsylvania in my quest to run at least 10K in all 50 states. Then it's onto the Carnegie, via I-70 through a sliver of West Virginia and finally into Ohio, where I find gas that $1.67-a-gallon gas. When in Rome...I had a "Schlepp Burger," which features Thousand Island dressing and costs $4.25. Why not? Pulled into Cincinnati exactly on time for easy 4:30 p.m. load-in and set-up with Bleu Pellman, a veteran of my prior Carnegie appearance in 2013. The Carnegie is across across the Ohio River from Cincinnati, so it's in Covington, Ky. Hence my accommodations at the Extended Stay in Covington, where I get to witness police intervene in a family squabble in a White Castle parking lot. Why do people need reality television when plain old reality is more than enough? Just over 100 people attend the evening's "holiday" program, which includes extremely short early version of seasonal classics ("A Christmas Carol" in nine minutes!) and then the much more substantial 'Tess of the Storm Country' (1922), a Mary Pickford melodrama with a great Yuletide ending. Introducing the films, I encouraged audience members not to hold back in reacting to the on-screen characters and action. And they sure didn't! The two Edison holiday shorts (the other was 'Twas the Night Before Christmas') were greeted with a lot of hearty laughter, and cheers for the amazingly low-tech special effects used to bring Santa's sleigh ride to the screen in 1905. All this served to loosen things up for a truly epic response to "Tess." There was hooting, hollering, cheering, booing, and laughter throughout. And as the film's story intensified, so did the response, to the point where I heard people openly sobbing during the final 20 minutes. So it was one of those great silent film experiences where an audience gets absorbed by a story and characters, and then gets swept along as the drama deepens and the stakes rise. All this was enhanced by the Carnegie's first-class presentation: a robust house A/V system, robust acoustics, and just the right size for silent film, I think: just big enough but not too big. So it was one of those times where I played with an increasing sense that the audience was completely buying the whole experience. Also, I had chosen some good material to work with, and the score came together in a way that punched up both the humor and the drama, I felt. And so, after two hours of intense emotion, we all experienced the film's cathartic Christmastime ending with a kind of collective sigh of relief, me included. It was one of those times where I think people weren't prepared for how absorbing a silent film can be, and were surprised to find out. What a treat to do music to help this whole process come about. At the end, I found the big ovation gratifying, and can only hope Mary would have approved. Afterwards, a nice group of people stayed in the theater to talk shop. Some big silent film fans in the Cincinnati area! So I hope to return again to this wonderful venue. Covington: blocks and blocks of 19th century charm. • Friday, Dec. 11: I awake to find it's still dark at 7 a.m., as we're in the far west of the Eastern Time Zone. 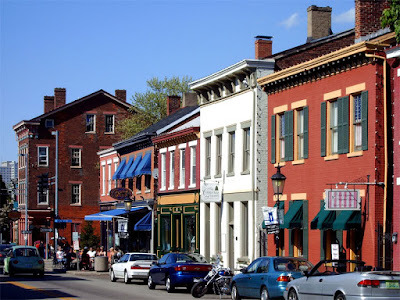 Still, I go out for a longish two-hour run through the scenic streets of Covington and Newport, Kentucky. It's in the 40s—mild but overcast, perfect for jogging. While not the wealthiest part of Greater Cincinnati, this region has considerable charm. The area escaped urban renewal in prior generations, meaning it's still full of unique and older structures in various states of repair. And "downtown" Covington—the area just across the river from Cincinnati's office towers—is funky enough to remind me of funky North Topeka, but about 20 times larger. 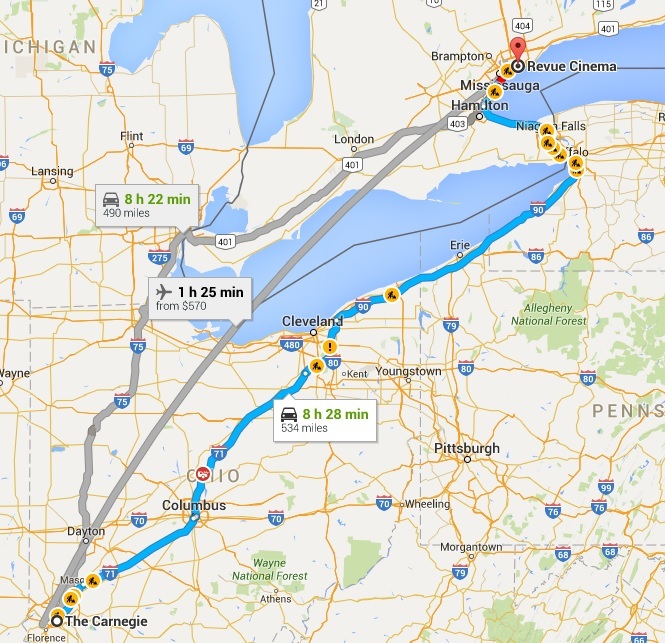 After adding Kentucky to my list of states in which I've run at least 10K, I hit the road for the Cleveland Cinematheque, which is on the other side of Ohio and about four hours away. Along I-71, I get to see my favorite billboard: a huge sign right next to the road with the three words HELL IS REAL. "Yes," I think, "And depending on how people drive, I sometimes think we're in it." 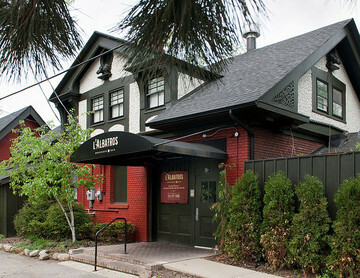 I'm due in Cleveland at 3:30 p.m. My usually trusty GPS guides me there right on time, but it turns out to be the Cinematheque's former home, which it vacated this past summer for new digs. Fortunately, the new home isn't far away, and long-time director John Ewing is waiting outside for me. A local legend among cinephiles, Ewing has led the Cinematheque since its founding in 1985. Under his guidance, the Cleveland area has enjoyed three decades of sustained access to a wide range of pictures that aren't likely to play at your local multiplex anytime soon. We're talking foreign films, documentaries, classics and cult films, and independent features that often struggle to find theatrical venues or an audience. But not in Cleveland, where the eclectic tastes of Ewing and his staff keep the screen lit up year in and year out with compelling cinema. That includes silent films, and Ewing was kind enough to invite me to accompany two programs over two days: first a holiday program featuring Laurel & Hardy's 'Big Business' (1929) and Harry Langdon's seldom-seen feature 'Three's A Crowd' (1927) on Friday, Dec. 11, followed by 'Passing Fancy' (1933), the final silent film from Japanese director Yasujiro Ozu. These were packed into a crowded bill of other fare, all shown at the Cinematheque's very spiffy new 300-seat theater at the Cleveland Institute of Art, its parent organization. The place has its own very nice grand piano (I forget the make), but I had planned synthesizer scores for both programs, so opted for that. There was no way to plug into the house sound, but my pair of trusty Rolands were up to the task of filling the room when necessary. A rather low-light cell phone pic of the set-up at the Cleveland Cinematheque. We had a good house on hand for the Langdon program, and reaction was huge for Laurel & Hardy's 'Big Business' (1929), shown from a 16mm print and accompanied by a farrago of variations on "O Christmas Tree," with a little "Take Me Out To The Ballgame" thrown in when Ollie begin hitting hurled crockery with a shovel. The Langdon film seemed to puzzle the audience, which wasn't a surprise. He was really stretching for Chaplinesque pathos in 'Three's A Crowd,' but in surviving versions (including the 35mm print from the Rohauer collection we were running) there's enough disjointed material to throw people off and keep the movie from jelling. For instance: near the beginning, what's all the business about that note delivered by a bird? Either something's missing, or Langdon (who directed and supervised this release) missed the mark by a country mile and was content to release the film as is. 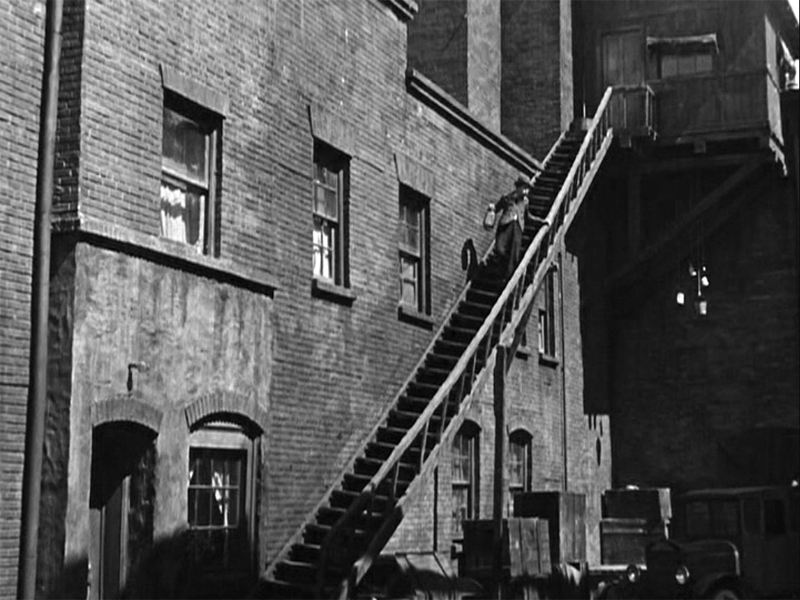 Langdon stranded on his metaphorical staircase in 'Three's A Crowd' (1928). Still, I did what I could with music to keep the film glued together so what really does work had a chance to connect. Once a newborn child enters his life, Langdon does some of his best pantomime ever, and I hoped very deliberate underscoring would help bring it out. It worked, somewhat. But there's one sequence where Langdon is so caught up in gazing at the child and mother that he absent-mindedly fashions a diaper into a complete fruit pie ready for baking. I set this as the test: if it didn't get a big reaction, I had somehow missed something. Well, the moment came. And it earned at most a polite chortle, not the belly laugh I was hoping for. Well, maybe that's Langdon after all. Although not a conventional film, Langdon did amp things up for a final "dream/nightmare" sequence, which allowed me to push the score into big and busy territory. I was pleased with how I was able to keep the different melodic cues under control as I cranked up the pace. It all came together quite effectively, I think, giving 'Three's A Crowd' at least a fighting chance—an apt metaphor considering the boxing ring that features so prominently in the dream/nightmare. Lots of thoughtful comments from people afterwards in the lobby, where a giant tin of hard candy encourages patrons to linger. L'Albatros Brasserie in the University Circle neighborhood of Cleveland. • Saturday, Dec. 12: Although the weather continued mild, fear of overdoing it plus a strong wireless signal led me to cancel another long run in favor of actually getting some work done while on the road. My other life leads to such situations as an hour-long conference call with the office in New Hampshire while I'm looking for Interstate 70 in Pennsylvania. And after days of quick meals (including one at the White Castle in Covington, a rare treat), I thought it was time for some serious food. Turns out Cleveland's best French restaurant is L'Albatros Brasserie, located in an old carriage house within easy walking distance of the Cinematheque. 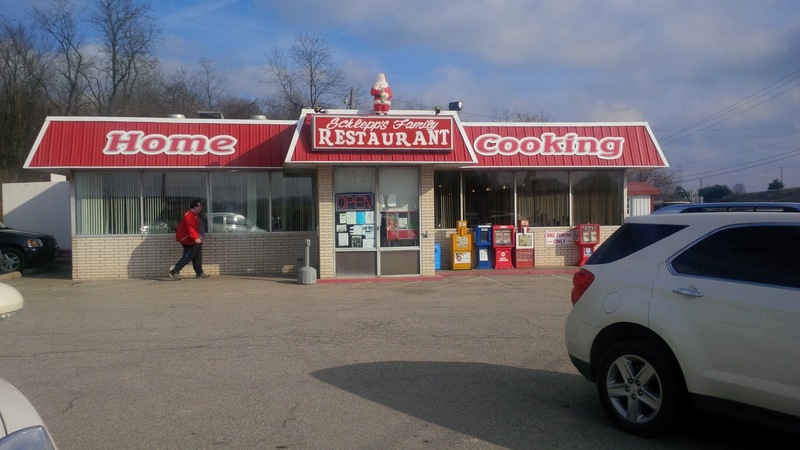 I arrived at 3 p.m., and for the next 90 minutes I just could not believe the food that came out of that kitchen. The main dish was a shoulder of lamb served in a bowl over polenta with about a half-dozen different vegetables mixed in. But I couldn't resist trying the braised leeks with mustard, or the roasted red pepper potage, or...well, you get the idea. 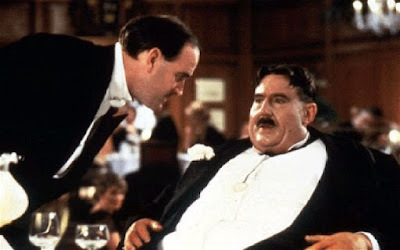 Since this blog is about movies, you might understand how I began thinking of what happened to Mr. Creosote in Monty Python's 'The Meaning of Life' (1983). I dreaded the idea of a server resembling John Cleese offering me one "way-fair thin mint" for dessert. A picture of me at L'Albatros. But instead, I had the mixed berries with cream fraiche, and waddled out of there under my own power. I hope John invites me back just so I can eat there again and again! Speaking of food: in a sequence worthy of Ozu, Wenders devoted extended footage to visiting a shop where artisans create the astonishingly real fake food shown in glass cases outside virtually all Japanese restaurants. Even after over-eating, I felt like having a bowl of ramen. Me, I couldn't help but notice that the in-flight movie we glimpsed only briefly was 'On Golden Pond,' filmed at Squam Lake in New Hampshire. Wow—I drive all the way to Cleveland to see a German documentary from 30 years ago in which there's a glimpse of where I came from. For the Ozu film, I used the same harp-and-plucked-strings synthesizer setting I employed for another Ozu film, 'I Was Born, But...' at the Harvard Film Archive last year, and also some of the same melodic material, too. I felt it went well with Ozu's world, and this was a chance to develop it further. Plus recycling is good for the environment. A scene from Yasujiro Ozu's 'Passing Fancy' (1933). Somewhat like the Langdon, I feel it's really important with Ozu not to overplay. His films are all about character nuance, and about weaving a story into the patterns of daily life: getting up, eating, going to work or school, and so on. So you can't come in with a Japanese version of the 'Star Wars' main title theme or anything like that. And for that matter, you really can't come in with something too obviously "Eastern" sounding, either, I think. Otherwise you risk putting the film in a box (the "old Japanese film that has nothing in common with my life today" box) instead of letting an audience get absorbed by the movie's more timeless qualities, of which there are many if you allow them in. So I didn't employ the stereotypical pentatonic scale, either, nor did I limit myself to modal Asian-sounding cadences. Instead, I took a Mozartian approach, using many very simple chord progressions with a slowed-down "Alberti" bass. Melodies were diatonic, though spiced with sharped fourths and flatted sevenths to create a kind of impish quality, I hope. 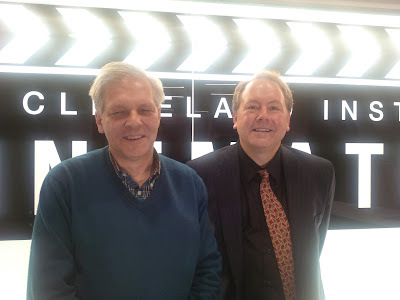 Long-time Cleveland Cinematheque director John Ewing and I after the Ozu screening and prior to ice cream. Attendance was less than Langdon, but the room was strongly pro-Ozu, you could tell. So I was really pleased afterwards to receive compliments on the music, including the much-sought-after "I forgot someone was playing the music live" remark. Thank you, Cleveland! And to top it off, John and wife Kathy brought me across the street for ice cream. Picking out a flavor, I felt like their overgrown teenage kid. Not bad for 51 years old! 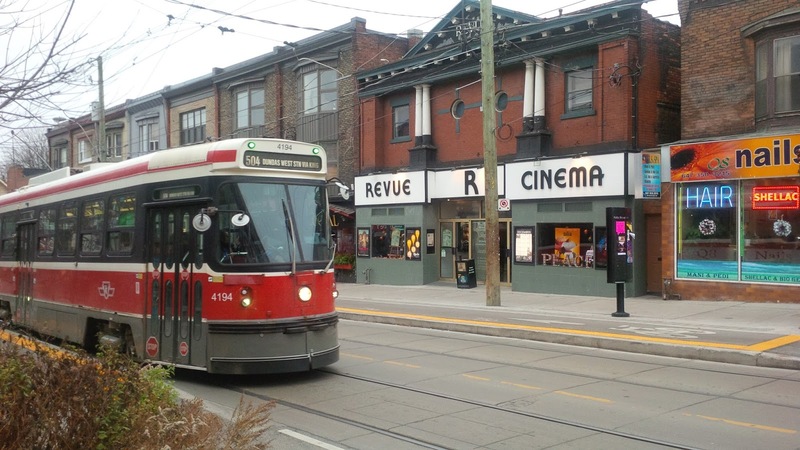 "All out for the Revue Cinema of Toronto, Canada!" • Sunday, Dec. 13: To make up for yesterday's massive indulgence at L'Albatross, I began the day with a somewhat shorter run (just an hour) through the suburban office parks of Beachwood, Ohio, which to my surprise have sidewalks! They also have hermetically sealed glass office buildings set amid enormous parking lots and acres of open grass "landscaping," with eateries such as PIADA attached to them. Piada is "Italian Street Food," the sign says. I look around the boulevards, deserted on a bleak Sunday morning, and wonder if any street in Italy looks like where I am. 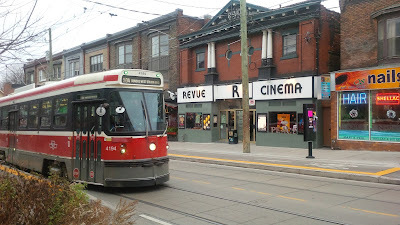 But then it's a mad dash to the Canadian border, as today I'm scheduled to make my INTERNATIONAL DEBUT at 4 p.m. at the Revue Cinema in Toronto. 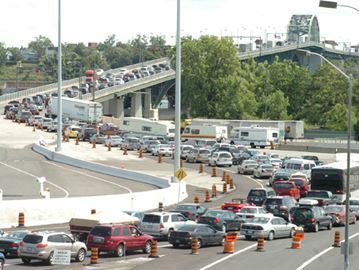 So I point the Subaru Forester northeast, and prepared to zig-zag my way through the Niagara Falls area and engage in a cross-border raid on Toronto, allowing 90 minutes for the chronically clogged international crossing. My route takes me through industrial Buffalo and then over the Peace Bridge, which to my surprise is almost as deserted as the office park outside Cleveland. Here's what I expected at the border, which I found much quieter than expected. After waiting for just one car ahead of me, I pull up to the Canadian customs kiosk, where a friendly officer seems ready to wave me through. And he almost does, but then suddenly turns serious and asks in all capital letters, "DO YOU HAVE A HANDGUN IN THE CAR WITH YOU?" I say no, and he says, "ARE YOU SURE?" with the last word in bold. I again say no, which prompts him to revert to the person he was and say "Have a nice day, then." And I am in Canada, where the highway is named for the Queen and the speed limits are much higher than in the states. I cruise into Toronto about three hours early (amazing! ), the car radio tuned to all-news 680 AM. Yes, AM radio. Hey, I'm a silent film guy, so I tend to be behind the curve in a lot of things. The forecaster on duty is soft-spoken Harold Hosein, the most Canadian meteorologist I ever expect to hear. He sounds like a guy who would spend time in a cabin in Labrador checking the temperature every hour and writing it down, which is exactly what I want in a Canadian meteorologist. I find the Revue Cinema in the midst of a tightly packed neighborhood that wouldn't need to change much to be the setting for a movie in the 1940s. Streetcars already in place and ready for their cue. A classic moviehouse that first opened in 1911, the Revue has been recently rescued and rehabbed and revitalized by a dedicated crew of cinephiles. They run it as a non-profit and program a little bit of everything. In addition to contemporary flicks, the current brochure also outlines programs such as the "Drunk Feminist" film series, which I'd like to attend one of these days. And they're also crazy enough to run silent films with live music, a series curated by local experts/fanatics Alicia Fletcher and Craig Caron. Alicia happened to be in Boston earlier this year when I accompanied Abel Gance's 'J'Accuse' (1919) at the Harvard Film Archive. We didn't meet then, but it led to her interest in having me stop by Toronto sometime if accompaniment was called for. Today's program is Fritz Lang's 'Woman in the Moon' (1929), and this is why I'm now cruising for a parking space on a side street and hoping I can use their bathroom even though I'm three hours early. 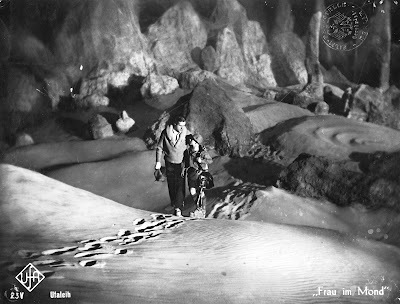 Strolling on the lunar surface in Fritz Lang's 'Woman in the Moon' (1929). 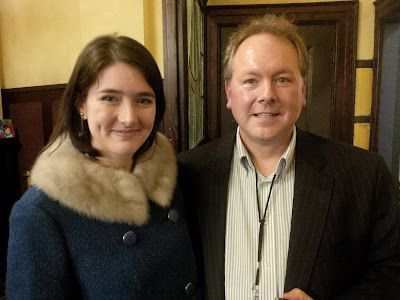 At the Revue, I meet Eric Veillette, who describes himself as a "recovering journalist" and who manages the place. About which: with more than a century of movie-going to its credit, the Revue has character. It's all you'd ever want in a movie theater, I think: just imagine the opposite of everything you'd find at a chain-owned multiplex, and you'll probably come up with something close to the Revue. 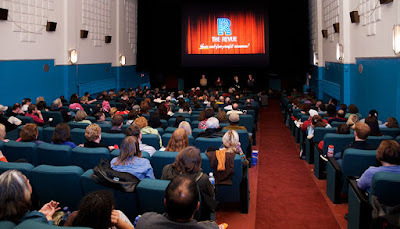 What the inside of the Revue Cinema looks like, courtesy the theater's Web site. I don't know what it says about me, but I can somehow sense when a theater has been well-loved. Somehow, there's something about decades of movie screenings that accumulates over time. (And I'm not talking about the sticky floors.) There's a kind of magic that slowly takes hold, and eventually becomes palpable. Being part of a dense cityscape, the Revue is not blessed with plenty o'free parking. To load in, I had to navigate up a narrow dead-end alley used by restaurants that do a lot of frying, judging from the grease barrels out back. Ah, the glamour of show biz! But Eric and Alicia helped muscle my gear down the steep concrete slope into the theater, and set-up went quickly. It had to, as there wasn't too much time between films. I began playing to warm up, and the next thing I knew, Alicia was on stage welcoming everyone. And boom, off we went! The version of 'Woman in the Moon' was a 16mm print of the abridged version, which runs a little over two hours. Basically, a great deal of the "conspiracy" plot is missing, and we get right to Lang's impressive launch sequence. It all seemed to go well. But having played for the longer version many times now, I can see how viewers of the condensed version might not understand what Lang and his collaborator Thea von Harbou were trying to achieve. Still, you could tell the audience was into it, and things really came together once the cast made their ton-of-bricks landing on the lunar surface, where the air is breathable and gold is there for the taking, of course. Despite the lack of exposition, it seemed logical (and perhaps helpful) to use distinctive themes for each of the characters. And I was able to layer it all into a grand symphonic texture that held together pretty well in the big moments, I thought. Great ending, big ovation, thank you very much. And the next thing I knew, we were out among the grease barrels loading out my equipment. And then, after a quick dinner at a place next to the theater, I was walking Alicia to her streetcar stop before hitting the road myself. Bye! So off I went, crossing back into the U.S. without any problem ("Sure, sure, you're a silent film musician.") and driving as far as Syracuse before stopping for some shuteye at a Super 8 motel one exit away from the long-time home of Cinefest, where I've been fortunate enough to play many times. Weird to have come so far, and to still have so far to go, but to be so familiar with the area. As I crashed, I thought about something I mentioned to Alicia after the movie. In thanking her for the engagement, I wanted her to know that at this point in my life, I never expected to be making music in this way, and for it to be heard and enjoyed (I hope) by so many people. I once felt that for me, the music train had left the station a long, long time ago. But it hadn't. The train was there all the time. I had just wandered out of the station for awhile, that's all. And now that I am making music in places like Covington, Cleveland, and Toronto, and so many other places, I can't help but be grateful for the support and encouragement of everyone who made it possible. That includes the people who arranged these shows, and the people who read this blog, and all the audiences I've played for. It's been a great year. And I'm really looking forward to more excellent adventures in 2016 and beyond. Midwest & Canada Silent Film Tour"
Geez! I could fly in much less time than driving, and avoid all that construction. Perhaps it's fitting that Horace Greeley grew up in nearby Amherst, N.H., as I'm about to Go West! Next week, I head west for my first-ever mini-tour of accompanying silent films at venues outside my New England base. • Friday, Dec. 11: An all-35mm film program featuring Laurel & Hardy in 'Big Business' (1929) and Harry Langdon's rarely screened comedy/drama 'Three's A Crowd' (1928) at the Cleveland Cinematheque. • Saturday, Dec. 12: Yasujiro Ozu's final silent film, 'Passing Fancy' (1933), again at the Cleveland Cinematheque. • Sunday, Dec. 13: Fritz Lang's epic 'Woman in the Moon' (1929) at the Revue Cinema in Toronto, Canada. So it's more like "Go Midwest, Young Man!" But the Revue screening marks my international debut! It's the first time I've needed a passport for a gig. I'm bringing my keyboard and sound system, so I'll be driving out and back. 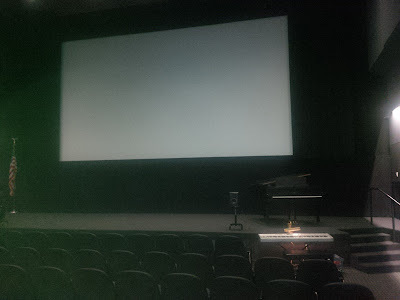 I want to thank everyone at the venues for programming silent film with live music, and for their kindness in bringing me in to do the accompaniment for some great programs. The stage at the Carnegie Center, set up for when I did music for Keaton's 'The General' (1926) in 2013. The Carnegie show got on the calendar first, based on a show I did there two years ago. Since I would be driving there out and back, I reached out to a few other places that run silent film to see if anyone else could use me. 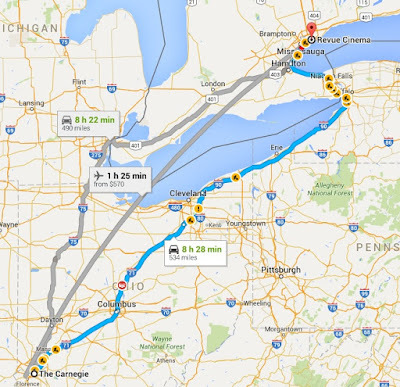 Turned out I was able to schedule two screenings in Cleveland and then another in Toronto—all on consecutive days, and all within easy driving distance. Hence my first-ever tour. All that's missing is T-shirts: Cincinnati! Cleveland! Toronto! Thankfully, the weather looks to be clear and calm into next weekend. Hope the forecast holds, which would allow me to get some running in while I'm on the road. For more info on the screenings, I'm pasting in the text of a press release that I sent to some of the local papers in our area. As a tuba player, I understand the value of tooting one's horn when appropriate. I'll be reporting from the road. For now, thanks to everyone who's encouraged me to accompany silent films. It's evolved to the point where it's my major form of artistic self-therapy—a kind of musical wellness program that helps keep me sane. As I sometimes joke: Blue Cross / Blue Shield should reimburse me! BEDFORD, N.H.—For a musician who specializes in a dead art form, Jeff Rapsis is one busy guy. Rapsis, who improvises live musical accompaniment for silent film programs, will cap off 2015 with a pre-holiday tour of venues in the U.S. Midwest and Canada. The tour finishes off a year that's seen Rapsis perform live music for more than 100 screenings of classic films from Hollywood's early years, before the era of synchronized sound and recorded dialogue. Using a digital synthesizer that recreates the texture of the full orchestra, Rapsis plays his way through dramas, comedies, Westerns, thrillers, and all manner of pictures from the silent era. Most shows are at venues close to his New England base: in New Hampshire, Maine, and Vermont, and at theaters in the Greater Boston area. But December's Pre-Holiday Midwest and Canada Silent Film Tour will bring Rapsis to the Carnegie Center in Cincinnati, Ohio; two shows at the Cleveland Cinematheque in Cleveland, Ohio; and the Revue Cinema in Toronto, Ontario. The Toronto engagement marks Rapsis' international debut. "These screenings are a great chance for me to bring the art of creating live music for great silent films to places where audiences may not have had a chance to experience it," Rapsis said. Rapsis uses no sheet music for his performances, but improvises scores in real time while a film is being run. Typically, he'll use three or four musical elements and weave them together in real time to fit the film's actions and support the mood. Rapsis performing at the Wilton (N.H.) Town Hall Theatre. "It's kind of a high wire act, but I find it's the best way for me to stay completely with a film," Rapsis said. "When it works, it creates a bridge that helps modern-day audiences experience a film's intended impact." At Cincinnati's Carnegie Center, Rapsis will accompany a holiday-themed program on Thursday, Dec. 10. The show includes early silent film versions of 'A Christmas Carol' and 'Twas the Night Before Christmas,' both produced by motion picture pioneer Thomas Edison. The Carnegie program will be highlighted by 'Tess of the Storm Country' (1922), a full-length drama starring silent era icon Mary Pickford that features a holiday ending. In Cleveland, Rapsis will accompany Harry Langdon's comedy/drama 'Three's a Crowd' (1928) on Friday, Dec. 11. 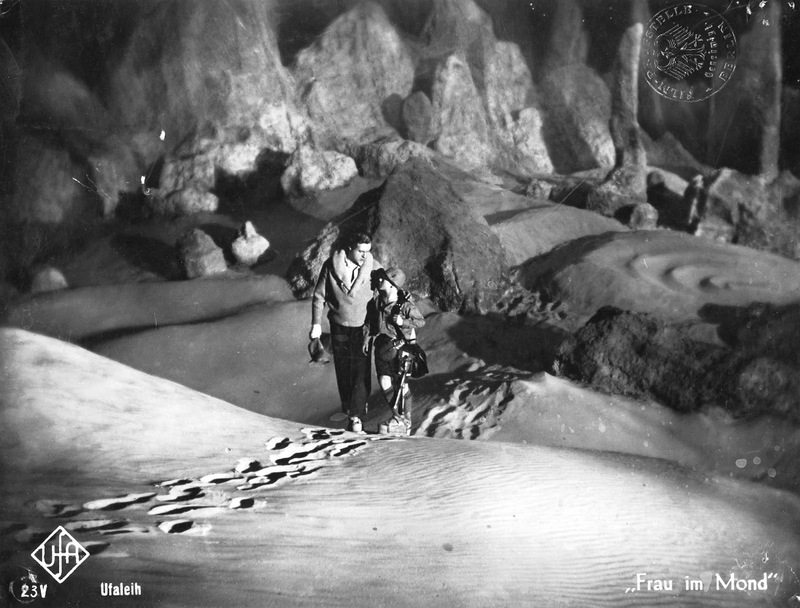 Rapsis will finish the tour by accompanying Fritz Lang's early sci-fi adventure 'Woman in the Moon' (1929) at the Revue Cinema in Toronto, Canada on Sunday, Dec. 13. Rapsis, 51, is Associate Publisher and co-owner of the Hippo, a weekly publication based in Manchester, N.H. He's a native of Nashua, N.H.
A lifelong interest in vintage film and music led him to begin actively accompanying silent films in 2006. "It's like I put chocolate and peanut butter together—two things I enjoyed were even better when combined together," he recalled. He's since worked to recreate the silent film experience for audiences in local theaters, churches, university classrooms, town halls, and the occasional unheated barn. To Rapsis, it's worth it. "These are films that caused people to first fall in love with the movies," Rapsis said. "And they still maintain power to entertain and inspire audiences, if shown the way their creators intended: on a big screen, with live music, and in a theater with a live audience." "Put those elements back together, and the films come to life, sometimes in surprising ways. Because the stories are told visually, it's really quite a different art form than what we have today in movies and television," Rapsis said. The Pre-Holiday Midwest and Canada Silent Film Tour completes a year that saw Rapsis perform in a wide range of venues from coast to coast, including the Library of Congress Packard Theatre in Culpeper, Va.; the Kansas Silent Film Festival in Topeka, Kansas; and the Niles Essanay Silent Film Museum in San Francisco, Calif.
"It's great to find audiences for these films at screenings all over the nation," Rapsis said. "But it doesn't surprise me, as the films have a timeless appeal that transcends the era in which they were made." It's true—a film can sometimes turn out to be a real stinker. But last night at the Manchester (N.H.) City Library marked the first time I've ever had a skunk threaten to disrupt a screening! Yes, an actual skunk: a full-grown adult. And this was not in backwoods New Hampsha, but right in the downtown of Manchester, our state's largest city. What happened was, I had schlepped all my gear from the car to the library theater's basement door, which must be kept open during load-in so it doesn't lock you out. So there I am, the heavy door propped wide open by my two Roland speakers, and man-handling my Korg keyboard to get it through the opening. And then I hear noise from the ground cover. So I look up, and marching slowing along the base of the building and not 10 feet from me is a very large skunk, coming right at me! And my arms are full, and the door is open, and Mr. Skunk shows no signs of hesitating. 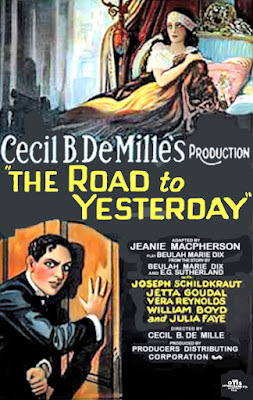 I didn't think his presence was a comment on the night's movie, Cecil B. DeMille's time-travel drama (don't ask), 'The Road to Yesterday' (1925). It was a cold and wet night, so he was probably attracted by the light and heat coming from the open library door. Can't blame him for that. For a moment I froze, my arms filled with 70 lbs. of keyboard. But then I just laughed out loud at the absurdity of the situation. Great! Just great! It hadn't been the best day already, and now I've got a skunk about to enter the library. Why not? But then I moved quickly to get the keyboard in (and out of the rain), and then to get the door shut. By then, Mr. Skunk had changed his mind about checking out the door, and had turned around and was waddling back from whence he came, soon disappearing around the building's far corner. 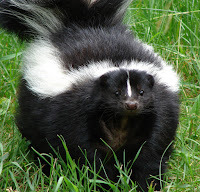 But part of me wanted the skunk to come inside just for the fun of seeing everyone go crazy. 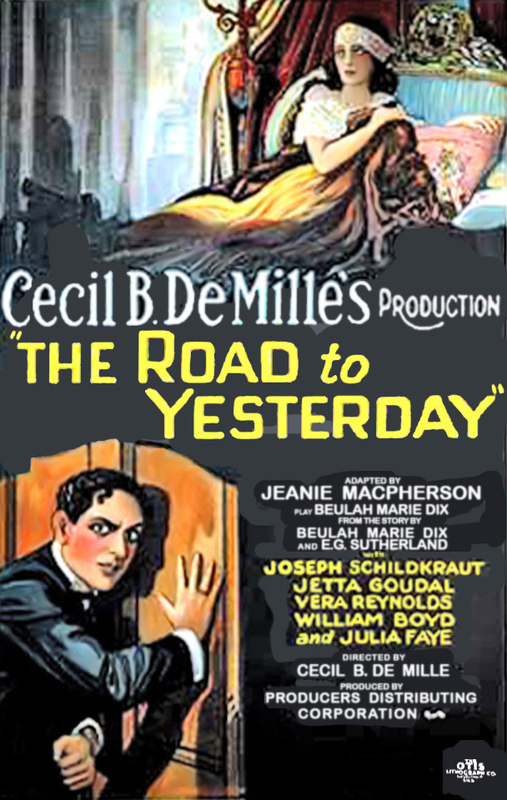 That might have been enough to distract people from 'The Road to Yesterday' (1925) a lesser-known Cecil B. DeMille drama that turned out to be lesser-known for a good reason, I thought. The story: two 1920s couples suffering marital/engagement strife are caught in a train wreck, which sends them back in time to Elizabethan England! There, they confront problems in their past lives that are preventing true happiness back in the modern era. Highlights include a torture scene and the burning of a witch, plus comedy relief. Our audience actually seemed to buy it and enjoyed the film, which surprised me. I found it overblown, incoherent, and absurd. Plus the plot was hard to follow from the accompanist bench. So maybe the skunk was an omen! The little bit of skunk slapstick was only the latest example of me getting caught up in real-life silent film schtick. While setting up for a Chaplin program at the Wilton (N.H.) Town Hall Theatre this past weekend, I leaned down to untangle some audio cables, and when I tried to stand up, I found my necktie was now also tangled in the cords. This prompted an unplanned tribute to visual comedy, all right in front of about 100 people, thank you very much. Speaking of Chaplin: this weekend takes me to the grandly named Tuscan Opera House in Dixfield, Maine, where students from Dirigo High School have organized a show featuring the Little Tramp on Saturday, Dec. 5. It's about a three-hour drive one way for me. But distance matters not to those craving a Chaplin fix, so I wanted to get the info out. Below is a press release for the Chaplin screening, the latest in a now annual program of silent films organized by the students and their teacher, Kurt Rowley. So get out your compass and head north. Hope to see you there! An original poster for 'The Kid' (1921). 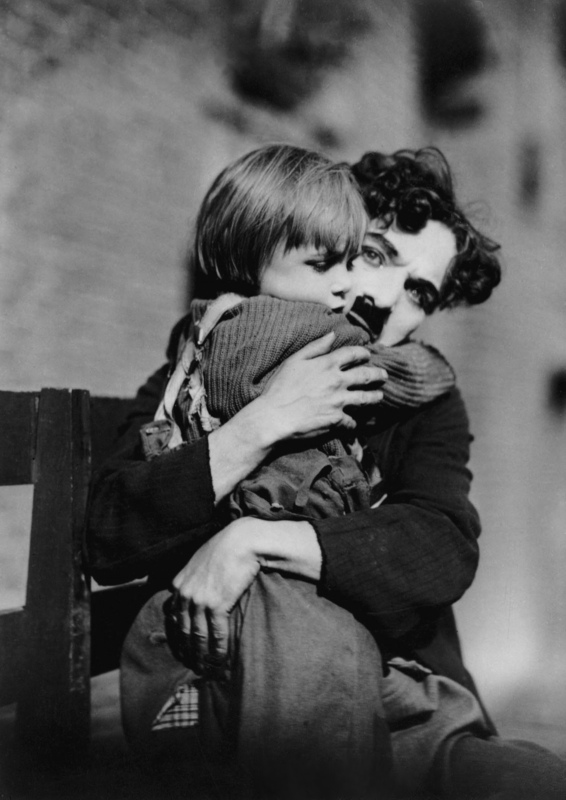 DIXFIELD, Maine—A comic icon of cinema's early days will return to the big screen for one night only, as the Tuscan Opera House presents an evening of silent film comedy starring Charlie Chaplin on Saturday, Dec. 5. The show begins at 7 p.m. and will feature several Chaplin films, highlighted by 'The Kid' (1921), his breakthrough feature-length comedy/drama. The program, organized by Dirigo High School students as a fund-raiser for the local historical society, is open to the public. Admission is $10 per person. Rapsis will also provide background on Chaplin's career as well as introduce each film. "There's nothing like silent film comedy shown on the big screen with a live audience," said Rapsis, who accompanies silent film screenings at venues around New England. The Dixfield program is a follow-up to well-received silent film shows held in recent years at the historic four-story opera house. A still from 'The Kid' (1921) starring Charles Chaplin and Jackie Coogan. 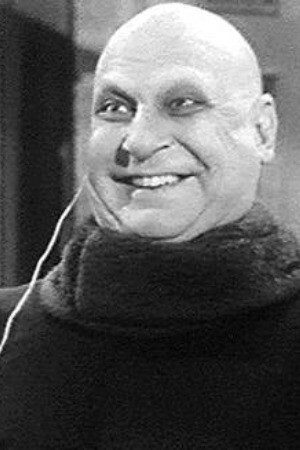 Coogan went on to a long career that much later included the role of "Uncle Fester" (at right) in the popular 1960s Addams Family television show. 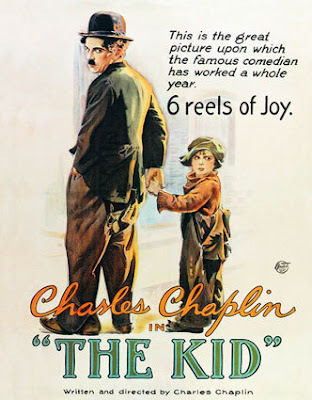 'The Kid' will be preceded by two of Chaplin's earlier short comedies that helped establish his worldwide popularity: 'The Tramp' (1915) and 'The Vagabond' (1916). The Chaplin program at the Tuscan Opera House provides local audiences a chance to experience silent film as it was intended to be shown: on the big screen, in restored prints, with live music, and with an audience. Dixfield's Tuscan Opera House is an unusual four-story structure built in the late 19th century as a meeting house for the International Order of Odd Fellows. 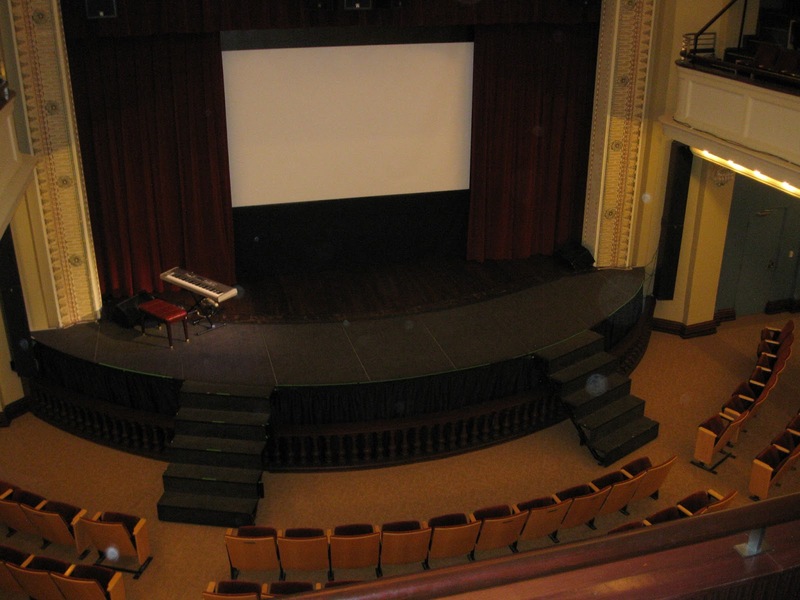 Its original configuration included a kitchen and dining room in the basement, theater and dance hall on the ground floor, balcony and dressing rooms on the second floor, and the IOOF Lodge on the third floor, as well as attic space. The building served as a cultural center for the Dixfield area for several generations, providing a venue for concerts, summer theater, town meetings, dances, motion picture shows, and church services. Because Dixfield schools had no auditorium before 1970, graduations, plays, prize speaking, proms and all manner of school productions were held at the Opera House. In more recent years, the building became the site of several commercial ventures including an antique store and restaurants. Dirigo High School students present Charlie Chaplin in 'The Kid' (1921) and other films, all shown with live music, on Saturday, Dec. 5 at 7 p.m. at the Tuscan Opera House, Maine Street, Dixfield. Tickets available at the door; admission is $10 per person, with all proceeds to go to the local historical society. For more information and advance tickets, please contact Dirigo High School teacher Kurt Rowley at (207) 680-0113.